I’d been looking forward to February, knowing that things would start to kick into high gear. And sure enough, just as I’m plotting and scheming my way into the start of book three, Evacuation Route, advance read copies, cover designs and release dates are coming in for the last two books. So here they are. 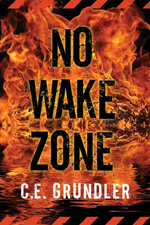 The very polished and re-edited edition of Last Exit in New Jersey will officially re-launch on March 6, 2012, and No Wake Zone is set for release on May 8, 2012. 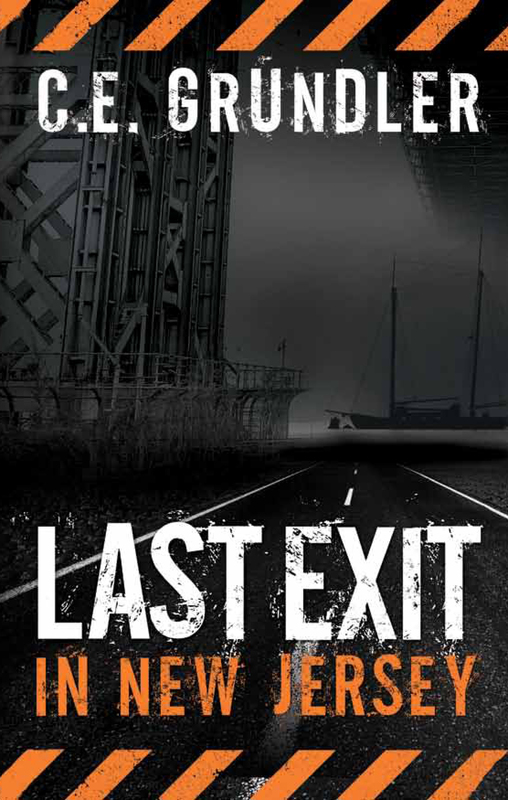 Thomas & Mercer wanted to give Last Exit a new, grittier, more hard-boiled cover that hinted to the nautical angle of the story, and to keep a consistent look with both books. And while I was fond of my cover, with the actual Parkway sign for the title and hood of my old Dodge on the Parkway at 3 a.m., I think their design is a better match for the story. Hazel Moran, the tough truck-driving amateur sleuth introduced in C.E. 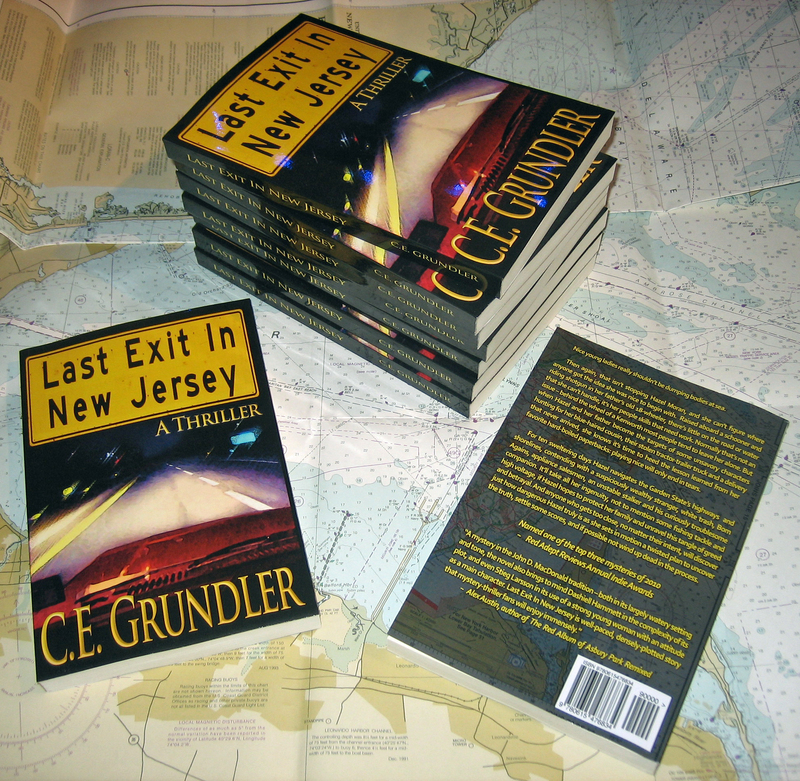 Grundler’s debut novel, Last Exit in New Jersey, returns in this dark and twisting sequel. Seven years ago, someone destroyed Jake Stevenson’s dreams when they murdered his fiancée, Helen Matthews and her family. Since then, tracking down the one responsible – finding them and making them pay — has consumed his life. Stevenson thinks the truth behind the killer’s identity and motive might still lie in the most elusive place – buried within the mind of a semi-mad man. But Stevenson may have found the means to access Hammon’s suppressed memories, and cleverly he draws Hazel into his hunt. Can she trust Stevenson, or does he have a hidden agenda? Hazel has her suspicions — but she has her own reasons for playing along. Hammon and Annabel also question Stevenson’s motives. To protect Hazel from becoming the next casualty of a forgotten history now repeating itself, they must retrace a treacherous path of deceit and murder. But Annabel thinks Hammon is going about everything entirely wrong, and she’s decided it’s her turn to start calling the shots, whether Hammon likes it or not. And when, again, someone very close to Hazel dies, she’s pushed to the edge. The facts all point to suicide, but Hazel isn’t buying that. She’s determined to prove it was murder, and she’s closing in on answers, only to find someone is changing the questions. No one she trusts will hear her out; they’re all certain she’s in denial and becoming potentially unstable. But when has presenting a serious threat to herself and others ever stopped Hazel? As her hunt travels from New Jersey to a Manhattan rave and a vacant construction site outside LaGuardia Airport, it’ll take all of her tough, fearless, no-nonsense smarts to navigate a complex and dangerous trail of clues. How far will some people go to hide the truth? And how far will she go for vengeance? Yes, it’s official. 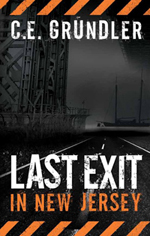 Due to repeated requests, Last Exit In New Jersey is now available in PRINT! At last, all 250 pages of murder and mayhem neatly bound up in a beautiful full color cover, and no batteries required! Apparently NorthJersey.com was running an article about MY BOOK! They were running it in the Arts & Entertainment section. Even better, this same article was being posted on some other Jersey related sites, such as The Sopranos.Com and New Jersey Gambling News. Wow. Someone did an article about my book and I didn’t even know it. As Annabel would say, “How cool is that?” Pretty cool, indeed. But… wait a minute. That’s not my book. The article is, in fact, about a book edited by Joe Vallese and Alicia A. Beale, entitled What’s Your Exit? A Literary Detour Through New Jersey. The book is a collection of contemporary fiction, poetry, and essays from forty-nine writers inspired by the Garden State. Hmmm. Let’s see. 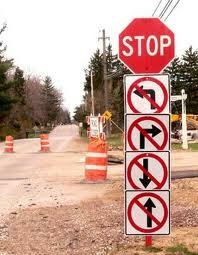 I think I see the confusion here. Both books do have the words “Exit” and “New Jersey” in the title. Both are Jersey-centric, and both would likely appeal to similar audiences. But What’s Your Exit is an anthology celebrating the fine contemporary literature of our state, while Last Exit is a modern thriller done in a classic, hard-boiled noir style. Clearly two entirely different books. 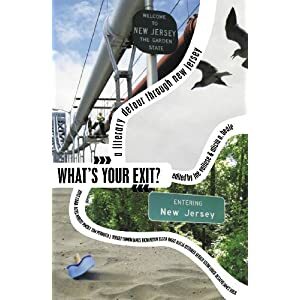 So, for those of you who may be trying looking to find What’s Your Exit, they are located here on Amazon and they have an interesting blog as well at: http://nj.wordriot.org/ And if you are looking for the Last Exit In New Jersey, you can find it HERE. 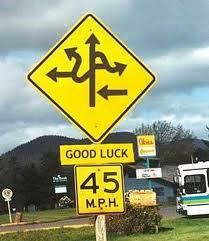 I should hope that the above links will help sort out any confusion between my book and What’s Your Exit. I can only imagine how I’d feel having an article run about my book with a headline that makes it sound like an entirely different but similar title. Who knows? Maybe the papers will do an article about Last Exit In New Jersey, and they can even title it “What’s Your Exit?” That only seems fair.